The BSCA was set up by coaches for coaches and over 4 decades later, we still do exactly that. Provide practical Clinics, Workshops and Conferences, for coaches at all levels of the sport; Grass Roots to Elite and everywhere in-between, all recognised for CPD points. When you join the BSCA, you join the British Coaching family drawing upon the friendship, kinship and support of coaches throughout your County, Region & Country, and if you attend our events, you can make contact with some of the greatest coaches on the planet, who travel here from throughout the world to pass on their knowledge & experience to members of our Association. The BSCA works in partnership with British Swimming, various departments, sections and Regions of the ASA, Scottish Swimming and international coaching bodies such as the World Swimming Coaches Association (WSCA). Membership of the BSCA brings FREE membership of WSCA automatically. BSCA members enjoy protection from specifically negotiated insurance policies, providing public liability cover but legal support & representation in matters pertaining to employment and criminal allegations. We are the only body in the UK to do ALL of this. Coaching swimming in Britain is a specialist activity, needing specialist support - we believe that only the BSCA understand the specialism enough to be able to provide what's needed in modern day sport. Membership is just £18 per month or £204 per year. 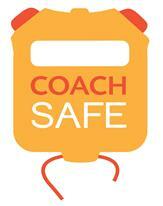 For non-active coaches we also now offer an alternative associate membership. Please tick to join our mailing list, we won't bombard you but it's useful for keeping you up-to-date with all things BSCA.